This week’s challenge is sponsored by It’s So Easy. 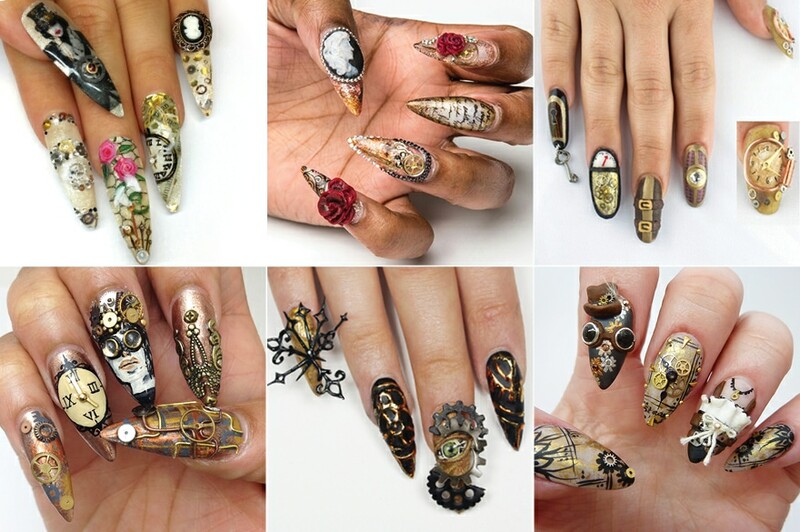 We asked our Top 6 to create a steampunk design on one hand (on a model) using any materials they’d like. They will receive bonus points for using out-of-the-box (non-nail) materials. We’ve posted their entries on the Week 7 Challenge page. Voting will be open until Thursday, October 23 at 12 PM PST. We’ll announce the results of Week #7’s challenge (the winner and who is eliminated) on Friday, October 24. Don’t let your favorite nail artist go home! Make sure to vote and tell all of your friends to vote too!